I decided to mix things up a bit today in the 4 Weeks to Fill Your Freezer series! 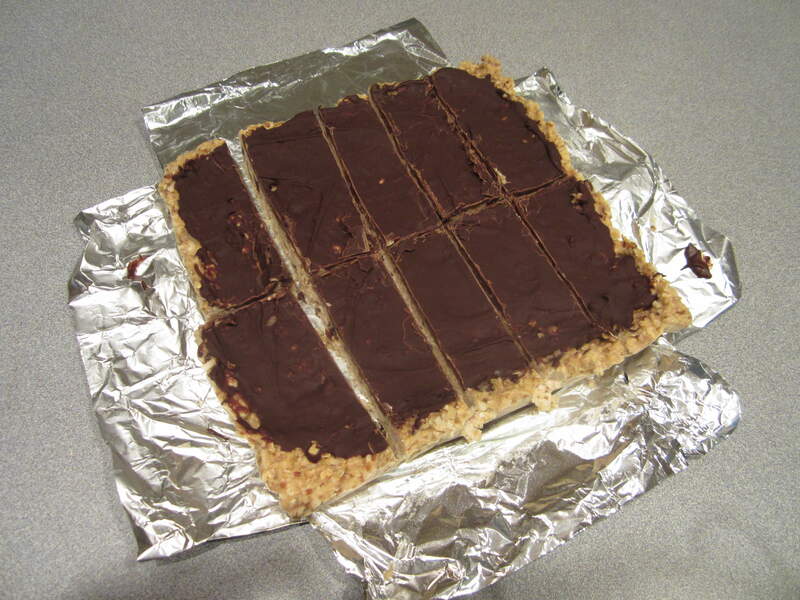 Instead of making the no-bake energy bites that Crystal has on her menu, I experimented with some homemade protein bars instead. My husband has been lifting weights for quite some time and he’s always trying to get more protein in his diet. 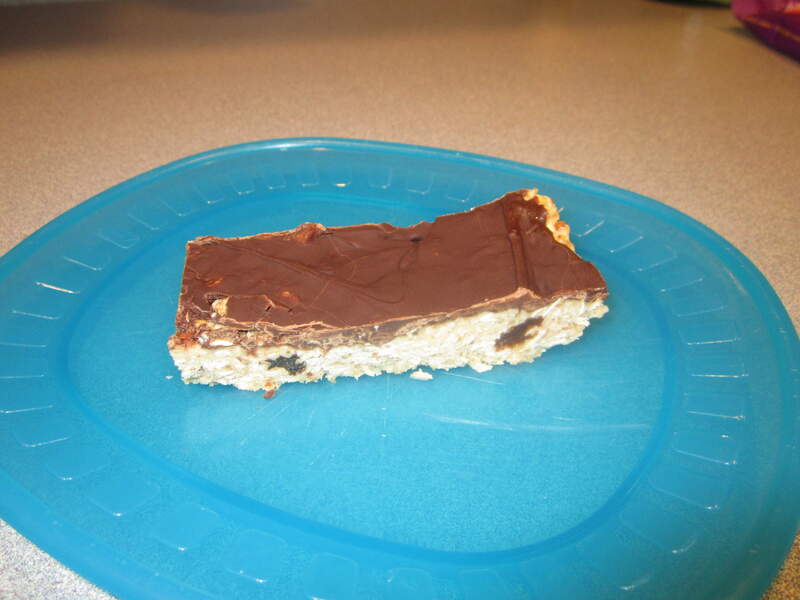 (That’s why we don’t do too many meatless meals…he gets a bit grumpy if there’s no meat to be had at dinner) When I saw a recipe for these protein bars on Money Saving Mom, I knew they would be perfect for my man! 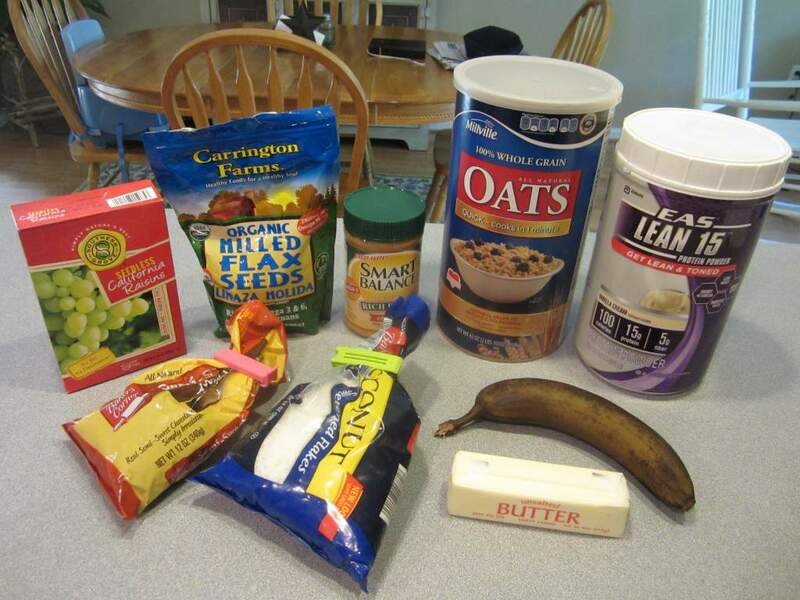 I gathered my ingredients together and got to work early this morning. 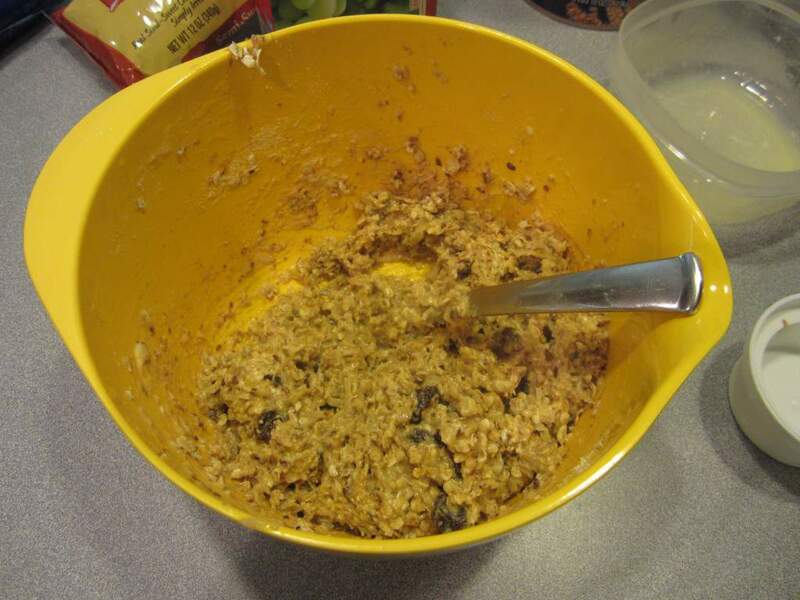 The recipe is basically a dump and stir affair…very easy! The hardest part was melting the butter and the chocolate chips. This literally took me 2 minutes! 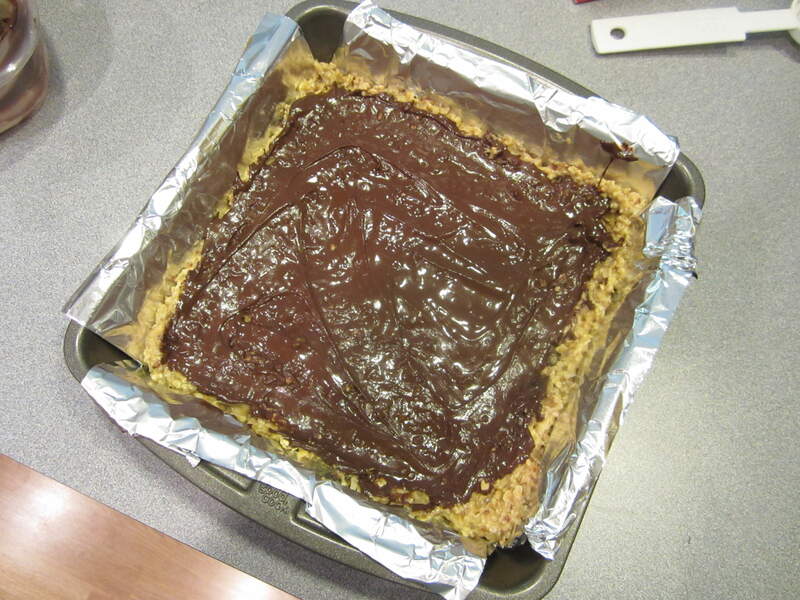 I then prepared my 8X8 pan by fitting it with a foil sling (à la America’s Test Kitchen), and spraying everything with non-stick cooking spray, since the recipe says that the mixture is very sticky. 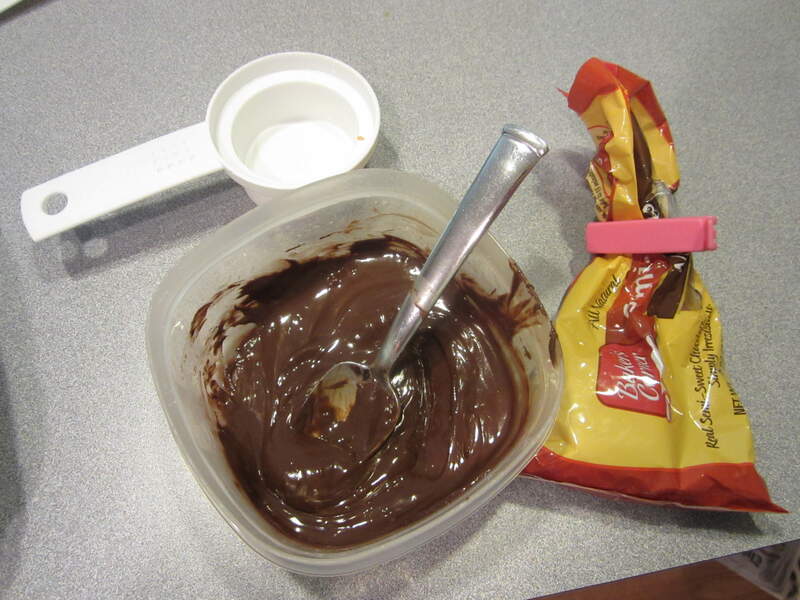 I melted some chocolate chips in the microwave, checking it after every 20 seconds or so. Chocolate can scorch pretty easily, so I didn’t want to take any chances. I spread the melted chocolate on top of the bars and then stuck the whole thing in the freezer. 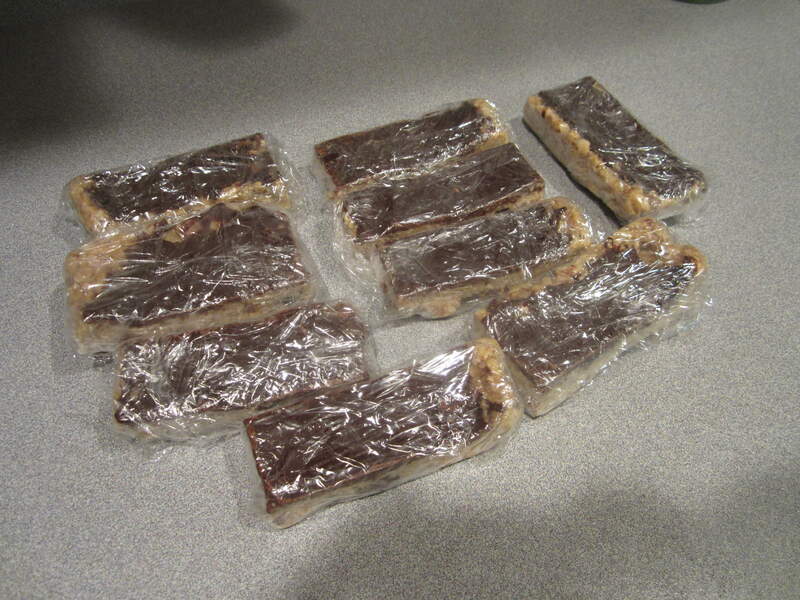 After a few hours, I removed the pan from the freezer and cut the bars. It lifted out beautifully and nothing stuck to the foil. I did a little calculating in my head, and I think that these bars only have about 7 grams of protein each, which is not very much. I chalk that up to the protein powder that I used…my hubby told me that each scoop of that powder only has 7 1/2 grams, not 15 as shown on the label. We usually buy this protein powder, which not only tastes better, but offers a much higher level of protein with very low calories. Next week we are on to Pumpkin Chocolate Chip Muffins and Chocolate Banana bread, both tried and true family favorites! I hope everyone has a happy Memorial Day! Erin, these look really good. I made the energy bites today and my kids and myself really liked them. Hope you have a great weekend.